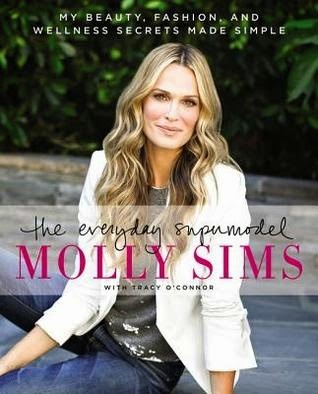 As a Downton Abbey addict, I really wanted to love this book. However, it was just ho-hum for me. Logan was likable, but Alice came across as a little bit spoiled in my opinion. 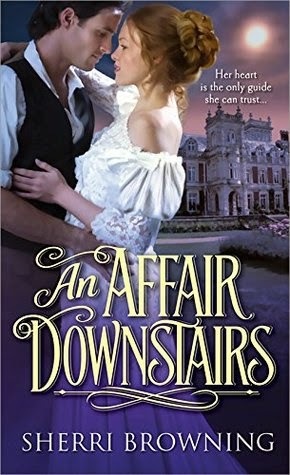 I think I was also a little bummed that the story doesn't fully commit to an affair 'downstairs.' Logan is the manager of Thornbrook Park, hardly a lowly position, and he is from a titled background. I was hoping for some actual conflict between the classes, but it didn't really seem to be that way. I really wanted to see more about the servants' side of life and how two people might be able to make a relationship work between classes. 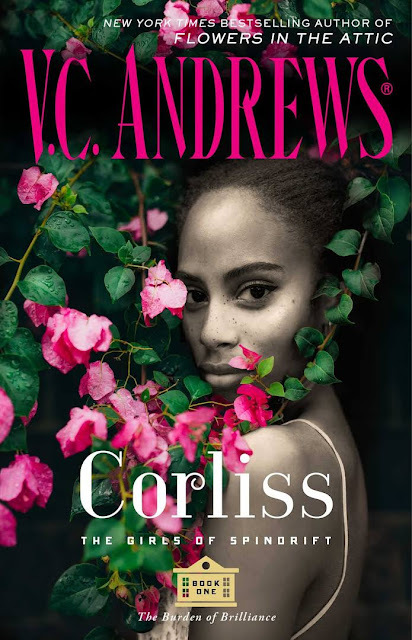 Sometimes a slow read can be fun and a great escape, and I did feel like I was having a lazy day rambling around a huge estate as I was reading. So the overall mood and tone of the book was enjoyable. I think I just wanted a little more excitement. "Say Yes to the Marquess"
This is definitely one of the best historical romances that I have read for a really long time! I'm sad to say this was my first book by Tessa Dare. What took me so long?? Now I know that all the rave reviews are 100% deserved. 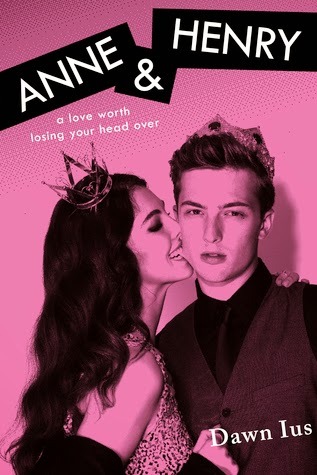 The main characters are so lovable, and add to that an engaging plot, a well-rounded supporting cast, and fantastic writing, and you have the perfect romance novel! Clio is a wonderful heroine. She has just the right amount of vulnerability along with an independent side. She has inherited a castle, and she no longer wants to bother with a husband. Definitely not the husband she has been waiting on for 8 years. Rafe is the complete opposite of his straight-laced brother, also known as Clio's perfect-on-paper fiance. He rejects any societal norms and wants to make his own way as a prizefighter. Clio and Rafe were inseparable as children, and now they are realizing that their feelings are deeper than friendship. I loved the secondary cast of characters as well. Rafe's friend, Bruiser, was hilarious in his disguise as a 'gentleman'. He had it all figured out down to the monocle. Clio's sister and her somewhat bumbling husband fit their roles to a tee, not quite mean-spirited, but always saying the wrong thing and hurting Clio. 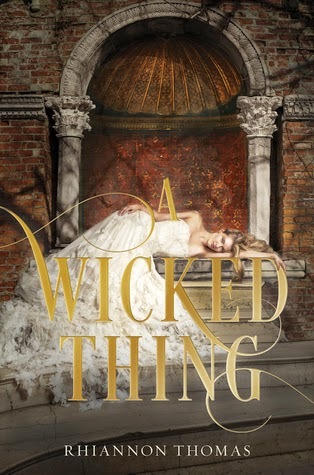 This is just the perfect romance, historical romance fans are bound to be swept into Tessa Dare's story and the historical world of these characters. The characters will probably find a way into your heart like they did mine. 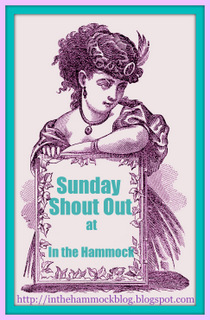 Bottom Line: A wonderful historical romance, sure to satisfy fans of the genre. Learn to draw the silliest and scariest monsters, zombies, vampires, witches, mummies, and other creepy cartoon favorites. 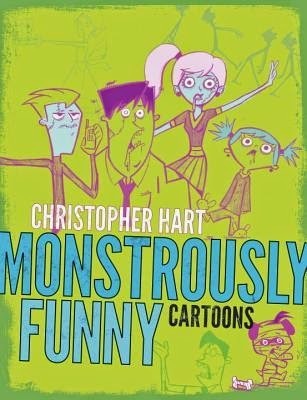 Cartooning master Christopher Hart teaches aspiring artists all the drawing tips and tricks they need to create laugh-out-loud renditions of their favorite monsters and scary creatures. This jam-packed cartooning guide shows readers how to capture the lighter side of these creepy creatures by combining them with Hart's incredibly popular cartoon drawing style! Taking readers step-by-step through each monster type, Hart demonstrates how to draw everything from terrifyingly silly heads to wacky comic strip-like scenes of monstrous menace. Chockful of hints, humor, and horror, Monstrously Funny Cartoons is guaranteed to be a real scream for aspiring and professional artists, as well as all fans of things that go bump in the night. What a fun book! This instructional cartooning book, has it all-easy to follow how-to advice, and background information, as well as a fun writing style. The author blends his drawings of fun cartoon monsters with funny descriptions as well as the reasons why the characters are drawn the way they are. He doesn't just tell you to draw a zombie with an open jaw, he tells you WHY zombies have open jaws. This is such a great teaching style. The artist learns why they are drawing a certain way, not just copying what another artist has done. This method really helps you develop your own style instead of copying the instructor's style. The book is divided into section by type of monster. Zombies are first, followed by vampires, mummies, aliens, etc. I really enjoyed the vampire and zombie monsters the most, but I liked all of the monsters. There is a good variety of types to draw, some are cute like the zombie cheerleader on the cover, and some are more silly and icky. All of the monsters are in good fun though, there's nothing scary in the book. It's perfect for children, teens, and adults in my opinion. I think the author achieved his goal of providing information for both beginning artists, and for experienced artists who want to develop their craft and learn how to draw a new category in order to stay current. Bottom Line: A monstrously fun cartooning book, suitable for all ages and skill levels. Let's get drawing those zombies, vampires, and mummies! I can't resist a fairy tale retelling, and I love that this one starts AFTER her happily ever after. "It's Always Sunny in Philadelphia: The 7 Secrets of Awakening the Highly Effective Four-Hour Giant, Today"
"The Gang" from It’s Always Sunny in Philadelphia attempts their most ill-conceived, get-rich quick scheme yet: publishing a “self-help book” to hilarious, sometimes dangerous, and often revolting, results. 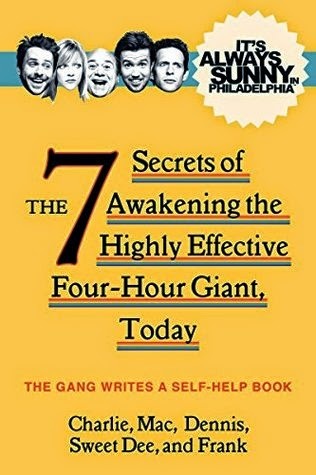 Fans of It’s Always Sunny in Philadelphia rejoice and welcome the most influential work in the history of the written word (or at least since the script for The Nightman Cometh): The 7 Secrets of Awakening the Highly Effective Four-Hour Giant, Today. The premise of the book entails that the gang from "It's Always Sunny in Philadelphia" write a self-help book for Harper-Collins. You can only imagine their ideas for self-help. As a fan of the show, I think this is a great book, IF it were quite a bit shorter. When I first started reading the book, I was laughing so much, and I could just 'hear' the characters reading their chapters aloud. However, at about the midway point, I started to lose interest, and I was ready for the book to be over. A word of warning, I would only recommend this book to readers who are already fans of the tv show. Otherwise, the book would be crazy offensive to...nearly everyone. If you've ever seen the show, you know what I mean. I think you have to go in realizing that the book is going to try to offend everyone, no one is safe-haha. My favorite chapters were written by my favorite characters on the show-Charlie and Dee. I would have loved to have read more of Charlie's own words, instead of most of his chapters being written "as told to" other characters. Perhaps more usage of a tape recorder and transcripts would have worked since his writing skills involve crayons and mispellings. Dee's chapters were written spot-on in her voice. I could just hear her reading the pages, cursing and all. Sometimes the characters of Dennis and Frank push the envelope for me personally, so I didn't really love their chapters. Bottom Line: For fans of the show, this book is a funny companion to the tv show. It could have been great if only it were shortened by half or so. "The Duke of Dark Desires"
Rebellious Julian Fortescue never expected to inherit a dukedom, nor to find himself guardian to three young half-sisters. Now in the market for a governess, he lays eyes on Jane Grey and knows immediately she is qualified—to become his mistress. Yet the alluring woman appears impervious to him. Somehow Julian must find a way to make her succumb to temptation . . . without losing his heart and revealing the haunting mistakes of his past. Desired: Duke skilled in the seductive art of conversation . . .
Lady Jeanne de Falleron didn't seek a position as a governess simply to fall into bed with the Duke of Denford. Under the alias of Jane Grey, she must learn which of the duke's relatives is responsible for the death of her family—and take her revenge. She certainly can't afford the distraction of her darkly irresistible employer, or the smoldering desire he ignites within her. But as Jane discovers more clues about the villain she seeks, she's faced with a possibility more disturbing than her growing feelings for Julian: What will she do if the man she loves is also the man she's sworn to kill? This was a very enjoyable historical romance. 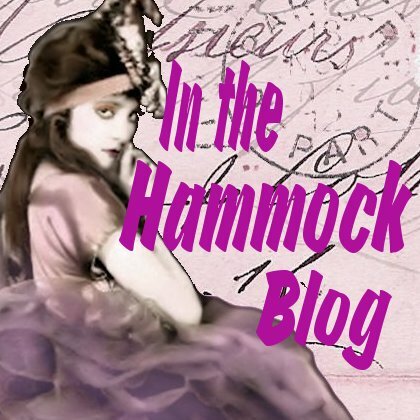 The plot and time period were just different enough to stand out from the pack of historical romances. A lot of times with romances, I find the 'mystery' plots so forced and over the top. However, in this book, I genuinely cared about just who was truly responsible for what happened to Jane's family, something that Julian had always blamed himself for. I also was on pins and needles waiting for the moment that Jane and Julian would discover each other's true identities. I looooove this cover, and I think it captures the book so well. It's a bit dark, but not grim, and definitely beautiful as well. The cover captures Julian's character especially well. Julian wears all black, he's a bit of a grouch, and wants everyone to think he is horrible, but he isn't the least bit horrible at all. His relationship with his three young sisters proves that he's a caring, tender person. I loved the three girls so much, each of them had a distinct, well-rounded personality, and they were never used for their cute factor. The girls were their own characters, not just children thrown in to move the story along. Family was such an important part of the book, and both Jane and Julian had such great relationships with the three girls. It was wonderful to see their relationships grow. Bottom Line: I loved this historical romance, the lead characters were strong yet tender, and the plot kept me on the edge of my seat. This one definitely stands apart from other books in the genre. "Hitrecord on TV! 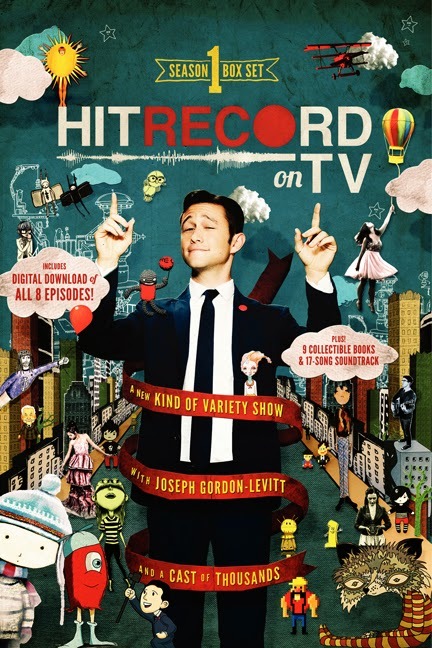 Season One"
HITRECORD ON TV is a new kind of variety show. Join host Joseph Gordon-Levitt as he directs a global online community of artists to create eight episodes of television--all made collaboratively. Each installment focuses on a different theme and features short films, live performances, music, animation, conversation, and more! HITRECORD ON TV invites anyone with an internet connection to contribute, create, and develop art and media collectively through hitRECord.org, an online collaborative production company that brings together artists from all over the world to participate in the creative process, bridging cultural divides and false distinctions that separate professional artists from those who simply love to make art. Through hitRECord.org, 1,295 artists contributed their original artwork to all of HITRECORD ON TV's eight episodes. This nine-book box set is the official companion to the first season, taking fans deeper inside the show's themes and the making of the series as a whole. It comes with special download codes for all eight episodes and the complete soundtrack album. This is the 16th and final book in the "Love at Stake" series! Disclosure: I received an e-copy of this book from the publisher in exchange for this post.